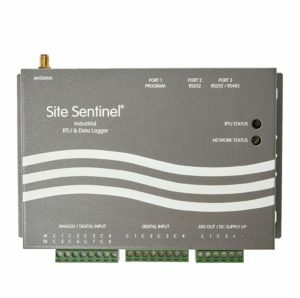 The Site Sentinel® P1 product is the industrial-focused variant of the Site Sentinel® RTU / Data logger family and is designed for installation into an equipment cubicle or other enclosure. 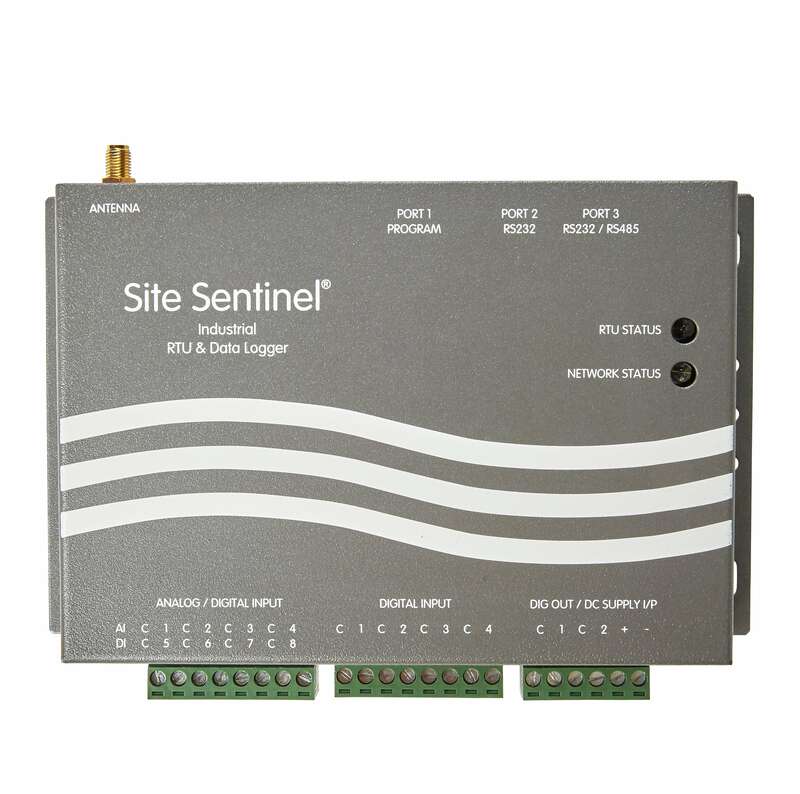 The Site Sentinel P1 provides highly-reliable direct-to-host data monitoring in a single package thanks to built-in 3G cellular modem and native DNP3 and FTP data protocols as standard. Modbus Master support (user configurable) is provided for connection to one or more “smart” downstream devices such as flow meters, power meters, multi-parameter water quality probes, distributed remote I/O etc. The Site Sentinel P1 product is equipped with a wide-range 9-36 Volt DC Supply Input, 4 x Analog Inputs (V or I), 4 x Digital Inputs/Counters, 2 x Digital Outputs and a Modbus Master RS232 / RS485 Communications Port. Unused Analog Inputs can also operate as additional Digital Inputs. The Site Sentinel P1 product can be configured for “low power” sleep mode operation, or be configured as a “real-time” polled device allowing data updates on demand. The Site Sentinel P1 also has the ability to operate as a standalone pump station controller as well as a telemetry unit, providing a true single box solution for basic pump control and telemetry monitoring applications. 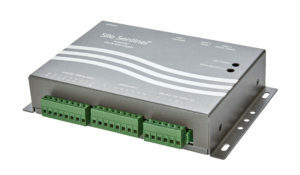 See Product Datasheet for further information and FULL product specifications.